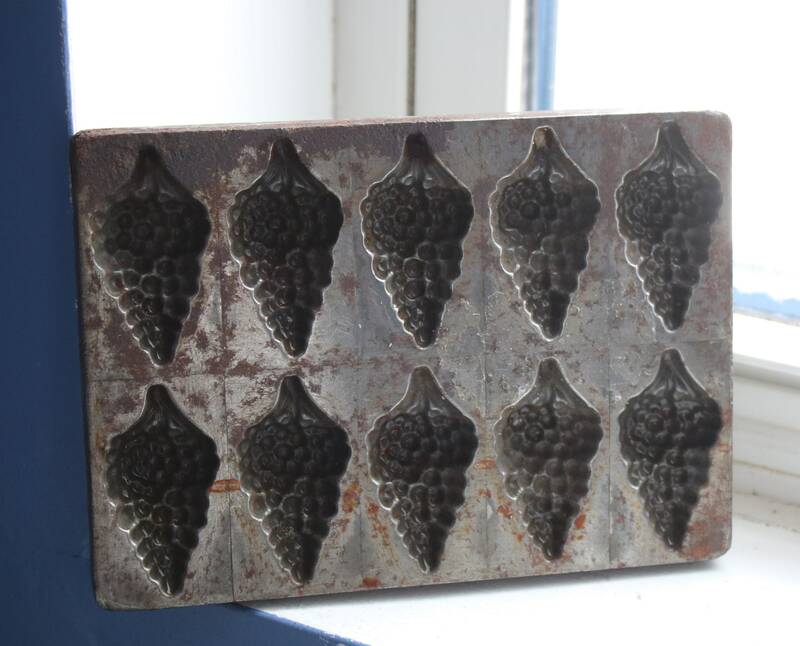 This Létang Fils chocolate mold featuring bunches of grapes is early, but I'm not certain as to the date it was produced so I'm listing it as vintage. 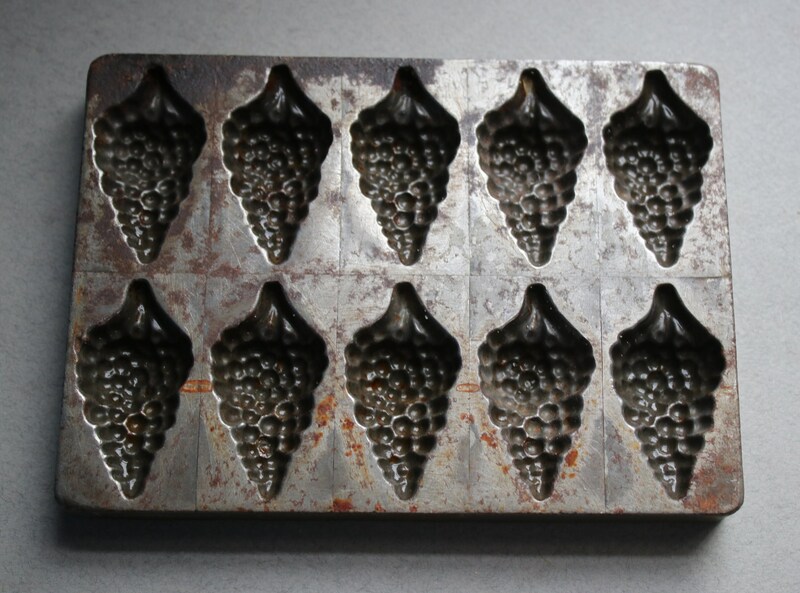 The name Létang Fils and Paris are stamped on the mold along with the mold number, 472. I'm not certain of the metal out of which this is made, but it has heft to it. 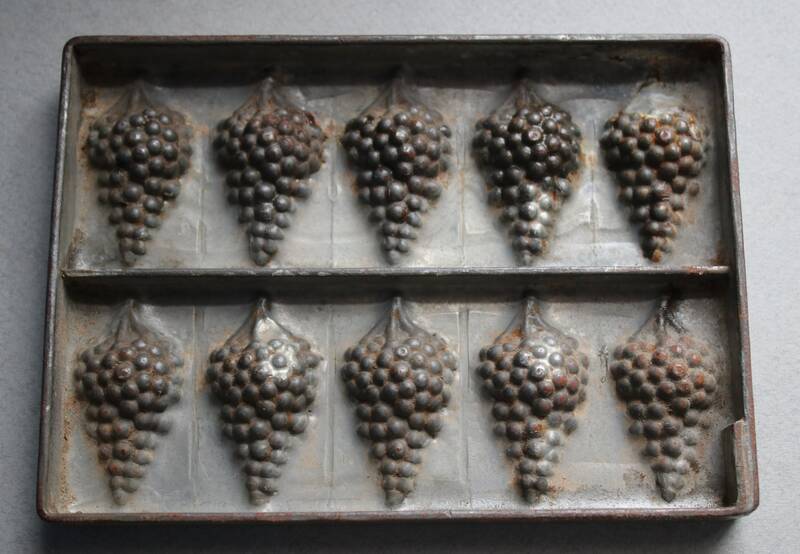 I would use this as a display piece and not to make anything edible because of the unknown metal. 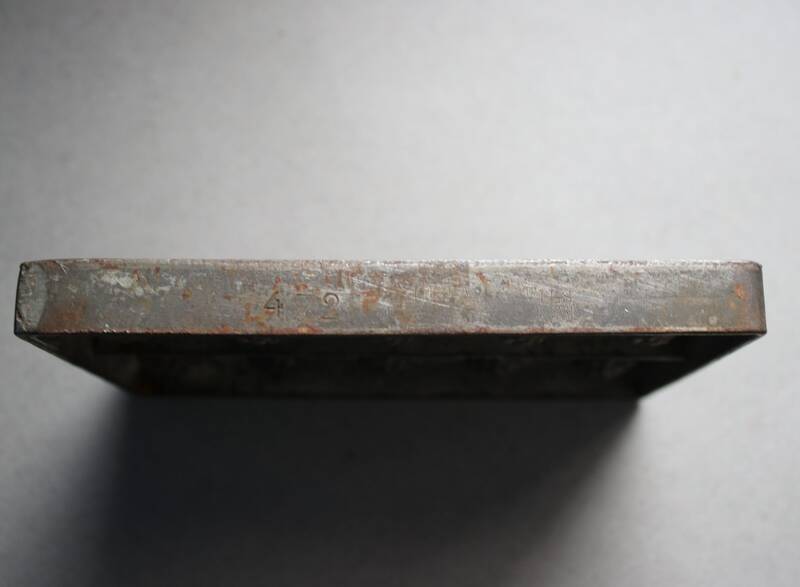 I've hung the mold on a nail on the wall as shown in the last photo for an example. 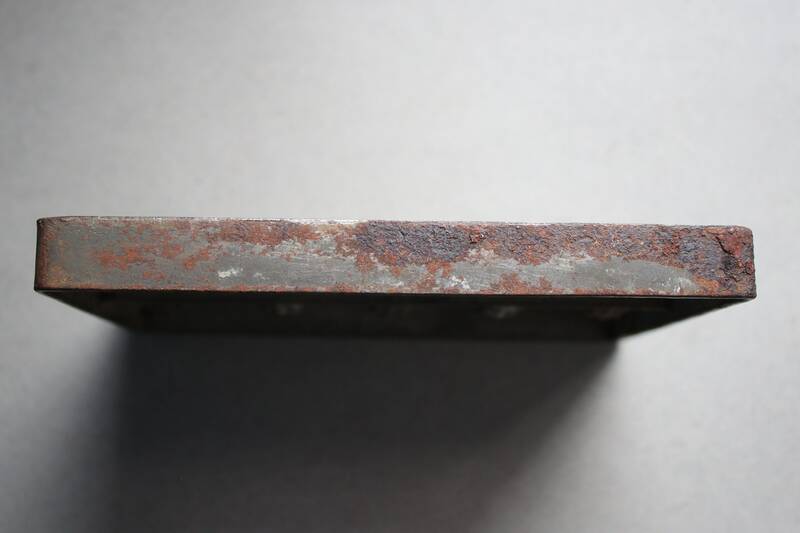 Please note the rust and scratches on the face of the mold as well as on the edges. 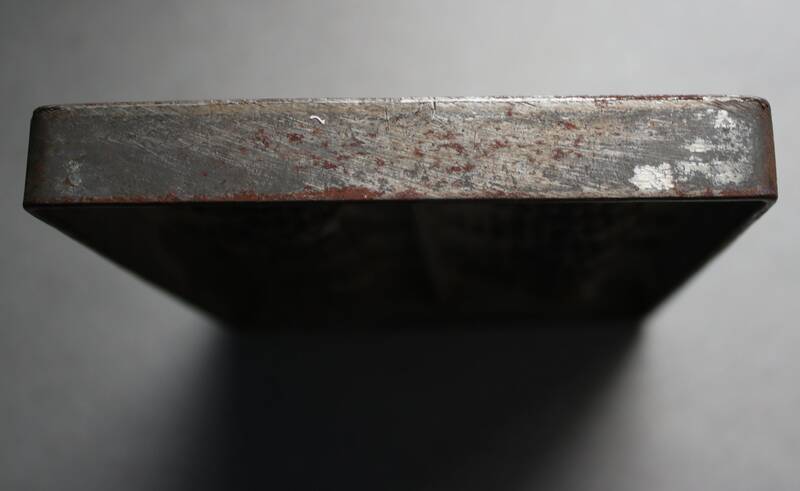 This is an old, possibly antique piece, and it is rustic and imperfect condition-wise. I've also left the mold as is and will leave cleaning to the discretion of the buyer. Do let me know if you'd like more photographs as I'll be happy to oblige. 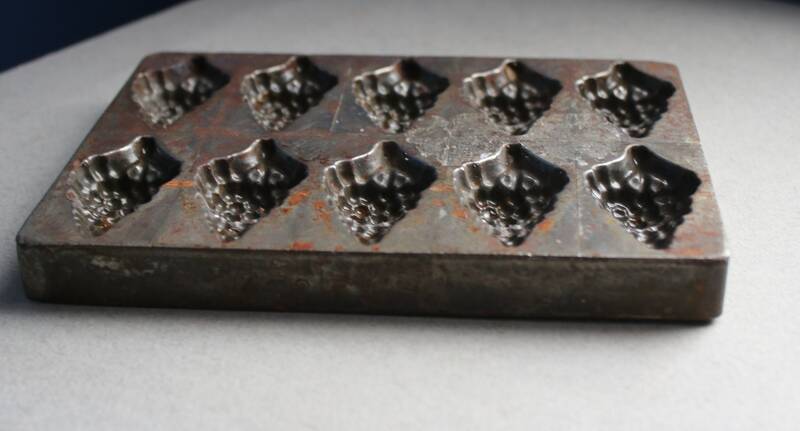 Your mold will be sent via Priority Mail.